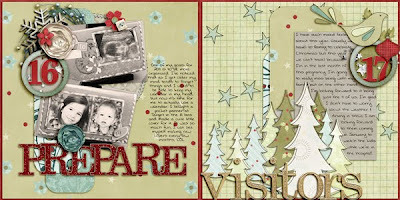 Today I'm trying to catch up on scrapping December Daily and Journal Your Christmas. The whole family has some not so nice colds so we're just vegging at home today, trying to relax yet catch up on our to-do list. Here are two pages I finished this morning.